Chicago Police announced Thursday evening that a second arrest has been made in the murder of Associate Judge Raymond Myles. Here is the link to the WGN-TV News coverage of the story. In an article posted to the DNAInfo.com website, Kelly Bauer and Erica Demarest quote Chicago Police Superintendent Eddie Johnson as saying that the suspect, 45-year old Earl Wilson, was "no stranger to the criminal justice system." Bauer and Demarest noted that, according to Supt. Johnson, "Wilson was convicted in 1992 of attempted murder and sentenced to 18 years in prison. He was released in 2004 and later arrested multiple times for domestic battery, illegal gun possession and possession of stolen vehicles." The use of the word "arrested" seems significant. Were there further convictions arising from these 'multiple arrests'? What sentences were imposed? What portion of these sentences were served? When was Wilson's most recent arrest? When was the last case involving Wilson resolved? At the time of the murder, was Wilson on probation? Parole? It would be interesting to know the answers to these questions, I think. Judge Richard C. Cooke has resigned from the 6th Subcircuit seat to which he was elected just last November. Chief Judge Timothy C. Evans entered an order assigning Circuit Judge Richard C. Cooke to the First Municipal District. The order was entered on November 22, 2016, with an effective date of December 5, 2016. Upon receipt of that assignment, Judge E. Kenneth Wright Jr., presiding judge of the First Municipal District, assigned Judge Cooke to the Traffic Section on December 6, 2016. After the initial observation and training period, Judge Cooke did not report to his assignment to the Traffic Section and has been presiding over marriage ceremonies since January 20, 2017. Chief Judge Evans referred Judge Cooke’s noncompliance with his judicial assignment to the Executive Committee of the Circuit Court of Cook County. On Tuesday, the Executive Committee referred the noncompliance with his judicial assignment to the Judicial Inquiry Board. FWIW reached out to Judge Cooke for comment but, for the record, Cooke would only confirm that he has resigned and that he may have additional comments to make about this matter at a later date. Pursuant to action taken last evening by the Executive Committee of the Circuit Court of Cook County, Judge Jessica A. O'Brien, recently indicted by a federal grand jury in connection with an alleged mortgage fraud scheme, has "been reassigned to administrative duties in the office of the Presiding Judge of the First Municipal District, Judge E. Kenneth Wright, Jr." until further notice. The announcement was made today in a press release issued by the Office of Cook County Chief Judge Timothy C. Evans. The court's action yesterday confirms the temporary assignment of Judge O'Brien to administrative duties after the April 12 indictment was announced. A judge may be temporarily reassigned to restricted or other than judicial duties whenever there are charges or implications of improper conduct, depending on the severity and nature, under “Illinois Supreme Court Rule 56. Temporary Assignment to Other Duties.” In the Circuit Court of Cook County, administrative duties can include conducting marriage ceremonies and reviewing petitions for reduced court-filing fees for indigent parties. 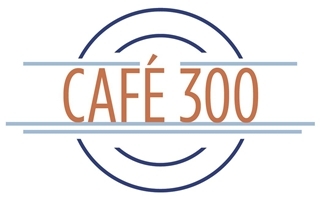 A fundraiser has been set for Cook County Democratic Party Chairman Joseph Berrios on Thursday, May 25, from 5:30 to 7:30 p.m., at Café 300, 300 N. LaSalle Street, Lower Level. Tickets for the event are $250 apiece, but sponsorships are available ($500 - $1,500 - $5,600). Checks should be made payable to the Committee to Elect Joseph Berrios Assessor. To reserve tickets, or for more information, email Chris@CraticShaffer.com or call (773) 355-9927. No, I am not suggesting that persons buying tickets for this shindig would have a leg up on slating or anything crass like that. But I pass this information along because many judicial candidates, or potential judicial candidates, don't often know about events like this one. You'd think that anyone setting up a political committee would be inundated with solicitations from every politician breathing. But, strangely enough, at least from what I've seen, not only do political pros not want 'nobody nobody sent', they don't want the nobodies' money either. So, unless the judicial wannabes were politically wired to begin with, they never find out when the pros commune. Many non-wired judicial aspirants have tried difficult cases, settled thorny disputes, volunteered in their communities, wowed the many bar associations -- but when they show up for slating, the political pros regard these accomplished men and women like skunks at a garden party: who invited them? Events like this one at least give the wannabes an opportunity to encounter the political pros on their own turf, to cultivate potential relationships that may---in time---if there are enough vacancies to go around---if all of a politico's proteges have been accommodated---result in some level of support for the wannabe's ambitions. If that sounds rather cynical, I suppose it is. Let me rephrase: The most personable would-be candidate can not charm anyone he or she can't meet. Events like this one may provide an opportunity for would-be candidates to meet, and maybe even impress, the powers-that-slate. A website has been established to support the election of Judge Joanne Rosado. That's a link to the campaign website in the preceding sentence; when enough candidate websites have been launched, this link will also be included in a blog sidebar. The Illinois Supreme Court appointed Judge Rosado to the Kennedy vacancy in the 11th Subcircuit earlier this year. According to her campaign bio, before her appointment, Rosado tried "over 40 felony jury trials, including several first degree murder cases, and over 100 felony bench trials" as a Cook County Assistant Public Defender. She joined that office in 2002. According to her campaign bio, Rosado has served with the Chicago Coalition for Law-Related Education, coaching a Mock Trial team in the Chicago Public Schools. One Bogan High School team that Rosado coached placed among the top four finalists (out of thirty teams). She has also served as a Board Member of the Puerto Rican Bar Association. A graduate of John Marshall Law School, Rosado also attended DePaul University and Resurrection High School. Supporters of Judge Cecilia Anne Horan's bid to retain her seat have launched a campaign website on her behalf and announced a May 11 fundraiser. That's a link to the website in the preceding sentence; when enough candidate websites have been launched, this link will be included in a blog sidebar. The Thursday, May 11 fundraiser for Judge Horan will be held at the Old Crow Smokehouse, 149 W. Kinzie. Colette Kopon, Moses Suarez, Giulia Volini, and Cook County Commissioner Larry Suffredin are listed as the sponsors for the event, which will run from 5:00 to 7:00 p.m.
Tickets are $150 each, but sponsorships are available ($250 - Supporter, $500 - Patron, $1,000 - Sponsor, $1,500 - Host, and $2,500 - Chair). For more information about the event, or to reserve tickets, call (773) 562-9559 or email eric@blueprintcampaignconsulting.com. 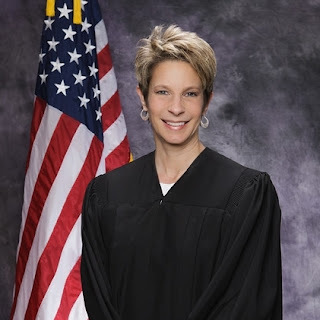 The Illinois Supreme Court recently appointed Judge Horan to the countywide Hartigan vacancy. Prior to her appointment, Horan was a partner at Hinshaw & Culbertson LLP. Horan is the President of the Lesbian and Gay Bar Association of Chicago and, according to the biography on her campaign website, serves on the board of directors of her neighborhood organization, West Edgewater Area Residents (WEAR). A lifelong Chicago resident, Horan is a graduate of Taft High School and Columbia College. She was licensed to practice law in Illinois in 1997. A reader was kind enough to send in these pictures from last Thursday's fundraiser for Judge Robin D. Shoffner. The candidate is shown in the left photo with the two sponsors of her event, 3rd Ward Ald. Pat Dowell and Cook County Board President Toni Preckwinkle. As a practical matter, I don't get out to many (most!) events plugged here on FWIW, but -- for future reference -- if you have photos of an event that you'd like to share, email me at jackleyhane@yahoo.com and I will run them if and when I can. (That means no promises and no commitments, but I'll do what I can when time and space and the day job permits.) Be sure and provide as much information as you can about who is in the photos, where they were taken, and so forth. Per Erica Demarest and Tanveer Ali on DNAInfo.com, Joshua Smith has been arrested for the murder of Associate Judge Raymond Myles. A bond hearing for Smith will be held today. Smith previously served time for armed robbery, according to the DNAInfo post. Also according to the DNAInfo post, at least one other suspect is being sought. According to police officials quoted by Demarest and Ali, Judge Myles was targeted for robbery -- but apparently not because of his occupation. Related: WGN-TV coverage of Smith arrest. 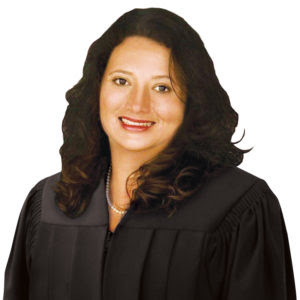 Cook County Judge Jessica Arong O’Brien faces fraud charges (Chicago Sun-Times). Cook County Associate Judge Raymond Myles was shot multiple times early this morning outside his home in the West Chesterfield portion of Chicago's Roseland Community. He was pronounced dead at Christ Hospital in Oak Lawn soon thereafter; a lady accompanying the judge was wounded in the attack and is expected to survive. The Chicago Tribune Breaking News coverage can be accessed at this link. DNAInfo,in a story reported by Kelly Bauer and Erica Demarest, indicates that the incident might have started out as an attempted robbery. The Cook County Bar Association, in conjunction with the Illinois Judicial Council, are hosting a judicial reception on Tuesday, May 2, from 5:00 to 7:30 p.m. at the Fremont Chicago, 15 West Illinois Street. There will be an open bar and complimentary hors d'oeuvres will be served. Tickets are $65 each for CCBA members, $100 for others (except that students, with ID, will be admitted for $25). All sitting judges will be admitted gratis. Tickets can be purchased on the Cook County Bar Association website. Supporters of Judge Robin D. Shoffner, including Cook County Board President Toni Preckwinkle and 3rd Ward Ald. Pat Dowell, are holding a fundraiser for their candidate on Thursday, April 20, from 5:30 to 7:30 p.m., at the Victory Tap, 1416 S. Michigan Ave.
Tickets for the event are $150 each, and sponsorships are available (for $250, $500, or $1,000). For more information about the event, or to order tickets, email info@craticshaffer.com. Judge Shoffner currently sits by Supreme Court appointment to the Fabri vacancy in the 8th Subcircuit. This is a post I reprint (and revise) every now and again. It seems so early, but the 2018 cycle is clearly underway. If this cycle is like every other recent one, there are some new readers joining us these days, including prospective judicial candidates and their supporters. These new readers may have questions about this blog. (A lot of this stuff is already addressed in the blog Sidebar, but it may not hurt to spell it out here, too.) Also, this seems like a good opportunity to restate some of the groundrules for regular visitors. This is a non-partisan blog. FWIW readers are often passionately partisan, and the current political situation seems likely to inspire more outspoken engagement than ever, at least in recent memory. However, I want to cover all candidates running for judge in Cook County. Because Democratic candidates have historically enjoyed such tremendous success in this county, to the point where Republicans do not bother to contest many races, most of the posts here will be about candidates in the Democratic primary. But I will gladly cover---and have covered---Republican candidates, too. If a candidate has a website, and I can find it, or someone sends me the link, I will link to it and, when we have enough accumulated, post another link in the blog Sidebar. This blog does not make endorsements. Over the years I've been doing this, I always seem to know at least some of the candidates, whether I've had cases with or against them, or because we've met through bar functions, or because we've met through this blog. I will mention significant connections, but I don't think the public cares how many candidates I've met, and I am certain the public does not care who I intend to vote for. On the other hand, while I won't make individual endorsements, I have been a lawyer for 37 years and I have fairly well-developed opinions about what I want for my clients when I appear in court. I reserve the right to talk about that -- in general terms -- in future posts. Just because I know a candidate, or some of their supporters, does not mean I will provide more or better exposure for them here. Certainly not on purpose. Readers will undoubtedly see more 'stuff' about some candidates than others, but that is only because some candidates make more of an effort to ask me to publicize events. I have a day job. So I don't see everything that every candidate puts up on their own websites or Facebook pages. Also, some of the stuff I do get (and because I've been doing this awhile I'm on a lot of email blast lists) are for events that the candidate may or may not want to publicize. A good (and frequent) example is a fundraiser in a private home. I won't put anyone's home address out in the Internet for all to see unless I'm asked to. The best way for candidates to get me to publicize their events is to email me an invite at jackleyhane@yahoo.com -- with a request for me to run a post about the event. Every election cycle, some candidates will complain that I haven't 'reported' their bar ratings -- and I don't, generally, unless there's something I think newsworthy about them. However, I will report everyone's bar ratings all at once -- when the bar groups (the CBA and the Alliance) release their ratings to the public. I believe the best candidates will distinguish themselves when as much information as possible about every candidate is presented for the voters' consideration. In addition to bar evaluations, I will advise of newspaper endorsements (if they're made) or community group or union endorsements (when I can verify them). I'll re-post video interviews when I can. All of this stuff will be collected in Organizing the Data posts (explained more, below) as the primary date comes closer. Judicial candidates and committees do not pay for posts appearing on this blog. Every year, someone asks. Later on, you may see candidate ads in the spaces I set aside for Google ads on this page, but I do not book those ads. I personally do not accept candidate ads. I will accept ads from persons or companies looking to offer products or services to judicial candidates; see the blog Sidebar for additional information. FWIW covers Cook County judicial elections because the newspapers and other media outlets provide so little coverage. Having run for judge twice myself (in 1994 and 1996) I appreciate just how little opportunity judicial candidates have to get their credentials before the public. I've already stated my editorial bias in favor of trying to present candidates in the best possible light, at least in my initial post about any given campaign. However, I reserve the right to fact-check information provided, to add information I've discovered on my own, to combine or even ignore duplicative releases. In short, I reserve the right to edit and to report within the limits of my abilities and resources. Comments on this blog are 'moderated.' This means I read any comment that anyone cares to leave and decide whether or not it will get posted. A lot of readers tell me that they enjoy the comments here -- but they don't see all the droppings left by the trolls in my inbox. Frankly, it's depressing -- and I think it's getting worse over time. I suppose the proliferation of trolls is yet another symptom of our current hyperpartisan political climate. I believe in the First Amendment. But this is my blog, not Bughouse Square, and if you think I'm clinging irrationally to Victorian sensibilities, that's just too bad. I reserve my right to 'flush' any comment, including the toxic gunk left by the trolls. Commenters: Be civil. If you must be partisan or mean, be clever. Or funny. Or creative. Or else go away. I'd really appreciate it you would leave a name, but I've come to realize I'm probably the only person dumb enough to put my name out here. Maybe (as some commenters have done) you could pick, and use, a nom de plume.